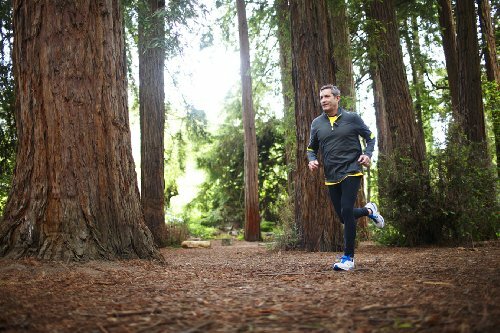 Fitness means being active, sleeping well, and eating smarter - and Fitbit One helps you do all three. 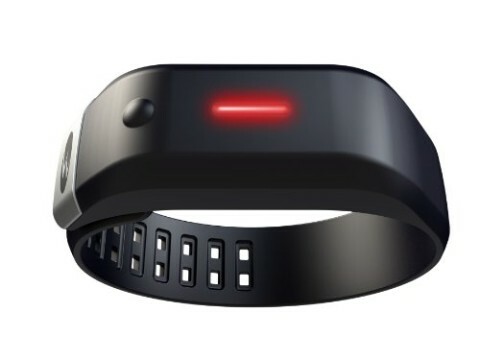 During the day, it tracks your steps, distance, calories burned, and stairs climbed. Come nightfall, it measures your sleep cycle to help you see how to sleep better, and it can even wake you in the morning without waking your partner. 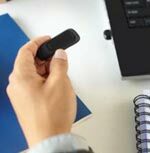 Your stats upload wirelessly via computer, or select mobile devices. 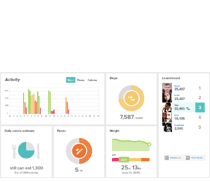 Powered by your stats, you can set goals, and track progress with charts and graphs. Stay motivated by earning badges or connecting with friends for support or friendly competitions. Log food, work-outs and more. Bring greater fitness into your life - seamlessly, socially, 24 hours a day. 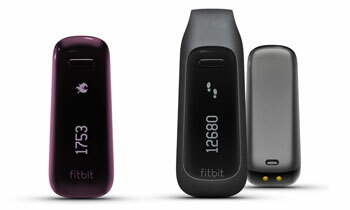 Debuting in black or burgundy, Fitbit One is suitably discreet. Monitor your day with the Fitbit One - this tracker aims to empower and encourage you by delivering real-time feedback that helps you be more active. Why not take the stairs instead of the elevator? Or go for a quick walk after lunch? Those steps will add up fast. One tracks steps taken, stairs climbed, distance travelled, calories burned, hours slept and quality of sleep. 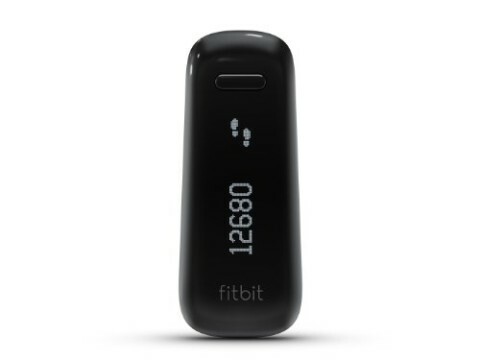 Powered by Fitbit's leading-edge accelerometer and altimeter, the One accurately captures all-day activity that old-school pedometers can't handle. It bases calculations like calories burned on your personal profile - reflecting your stats. 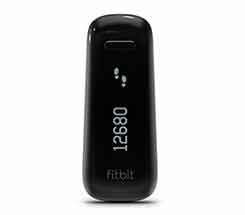 Fitbit One automatically syncs your data to PCs, Macs, iPhone 4S, and the 3rd generation iPad. 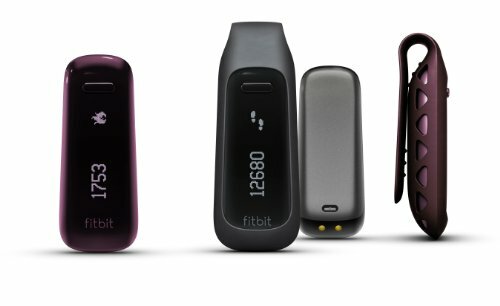 All you need to do is sign up for your free account on Fitbit.com and register your device (which you can also do via select Bluetooth 4.0/Bluetooth Smart smartphones). After that, your stats will sync automatically, giving you real-time access to all that outstanding data on your Fitbit dashboard. Challenge and compete with friends and family on Fitbit.com. In addition to rooting for one another, you can compare stats and see how your progress stacks up. Log your food, water, workouts, weight, and more using Fitbit's online tools. If you're on the move, use the mobile app to do the same. Our expansive database covers food and activities, which makes logging your info quick and easy. Create a Food Plan to eat smarter. 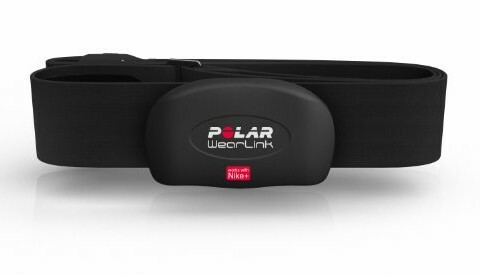 Log an infinite number of activities, from walking the dog to swimming laps. Before you know it, you'll have a complete picture of your progress. 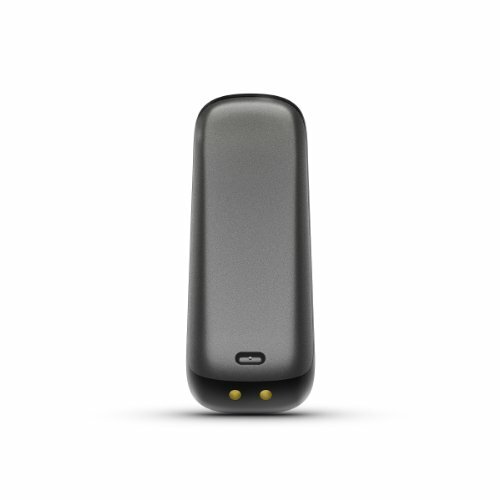 Fitbit One syncs wirelessly to any computer or select Bluetooth 4.0/Smart devices and tablets. Fitbit One doesn't nap, even when you do. 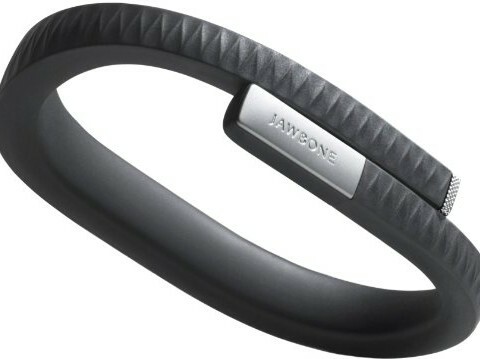 Slip it into your wrist band at night, and it'll measure your sleep cycle. 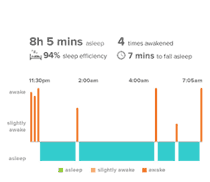 Once the data syncs, graphs on your dashboard will reveal how long you slept and the number of times you woke up, giving you a sleep quality score. Over time, you can apply what you learn to help you sleep more soundly. The One also has a silent wake alarm that gently vibrates to wake you at your desired time, without disturbing your partner. The Fitbit dashboard is full of graphs, charts, and tools designed to help you track your progress and understand your health and fitness. 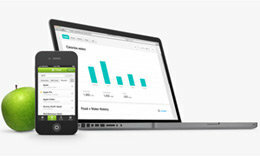 The customizable dashboard and mobile app (both free) bring all that digestible data to your fingertips. Knowing how close you are to reaching your goals gives you added incentive to achieve them, sleep better, and aim higher. We'll sing your praises and keep you motivated with Fitbit badges for daily, weekly, even lifetime achievements. Each time you achieve a new goal, or "wow" us with your performance, we'll award you with a badge. But you'll have to work for it. To further track your health, you can export your Fitbit data to several popular fitness apps. Some of them - including SparkPeople, Lose It!, MyFitnessPal, and MapMyFITNESS - let you import their data into Fitbit's dashboard, so you can track and understand your health in either app. Learn more in our App Gallery. 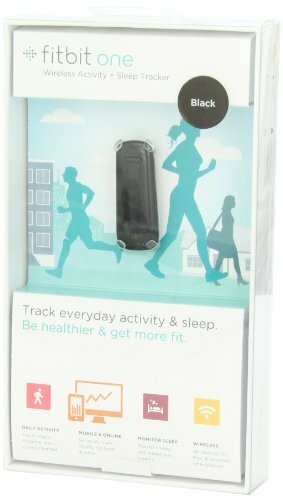 Fitbit One Tracker (Black), matching clip, Bluetooth 4.0/Bluetooth Smart USB dongle, charging cable, sleep wristband, and free Fitbit account.